Climbing Guides for the Bugaboos, Canadian Rockies and Rogers Pass! We climb in three areas with world-class alpine rock peaks: the Bugaboos, Rogers Pass and right here in the Canadian Rockies. Pigeon Spire and Snowpatch Spire; Sir Donald and Tupper; Louis and Castle Mountain. 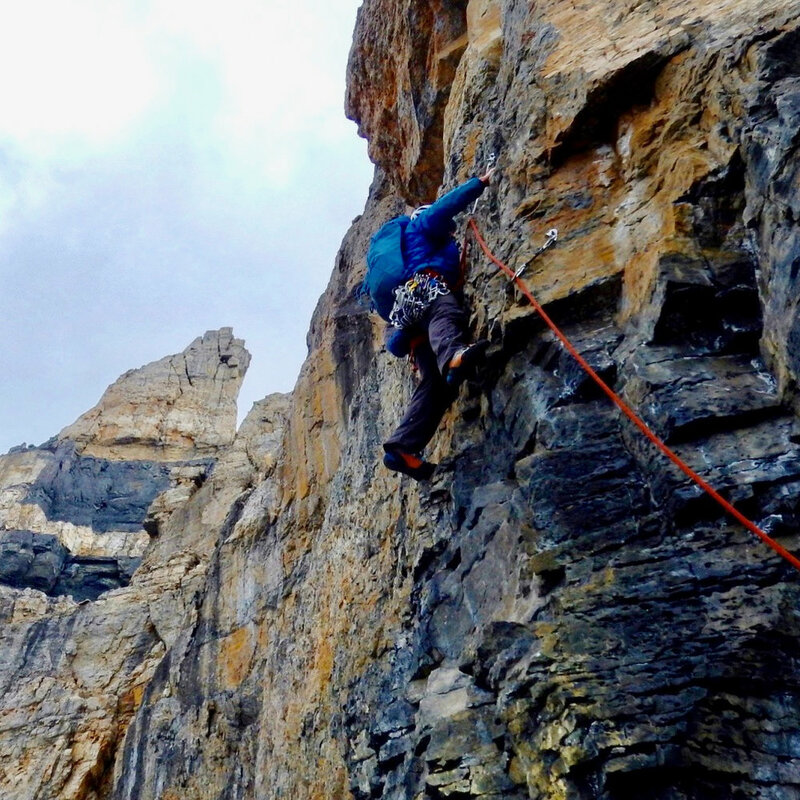 All famous names with fantastic climbs, and all within reach of our base in Banff - Lake Louise. Try the traditional climbs or get on one of the modern classics that have been recently established in the Rockies! 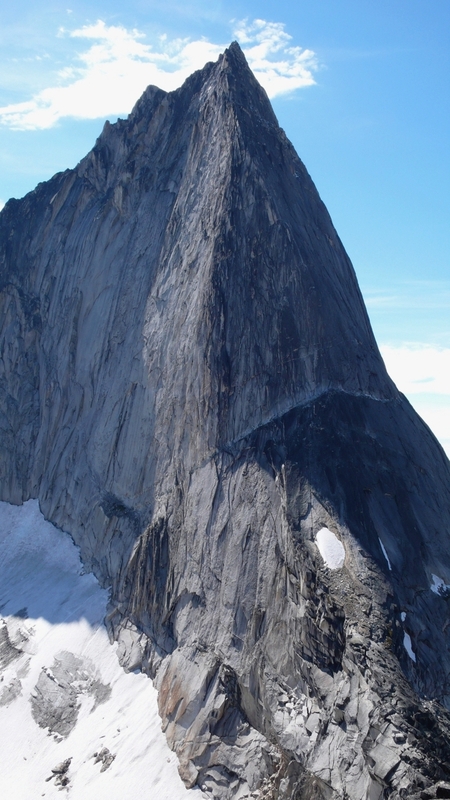 Bugaboo Spire, with the NE Ridge (5.8) facing the camera and the Kain Route (5.6) on the left skyline. The summit block of Mt. Tupper. High quality quartzite high in the Selkirks.